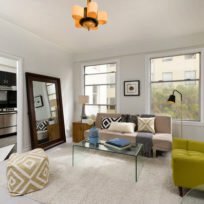 This quiet and sunny Hamilton studio has a practical floor plan with entry hall, walk-in closet, sleeping alcove and separate kitchen. 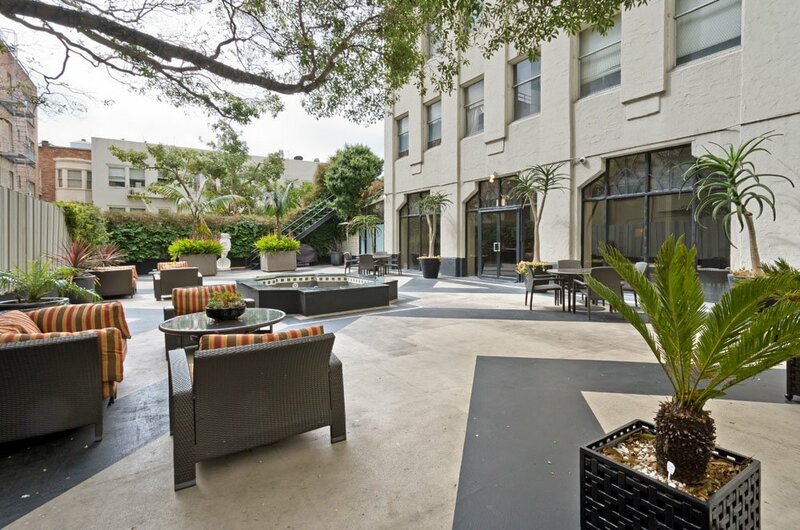 Three large windows overlook a lovely fountain courtyard used by the Hamilton community for barbecues and times of quiet reflection. 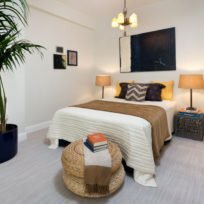 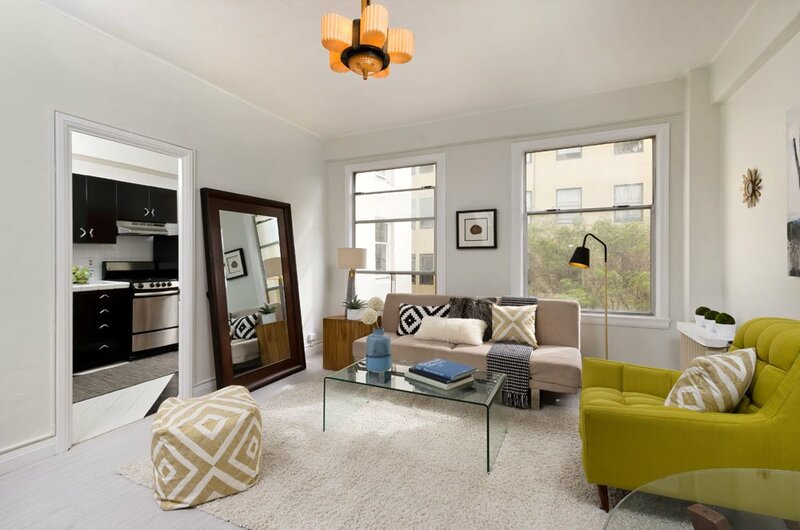 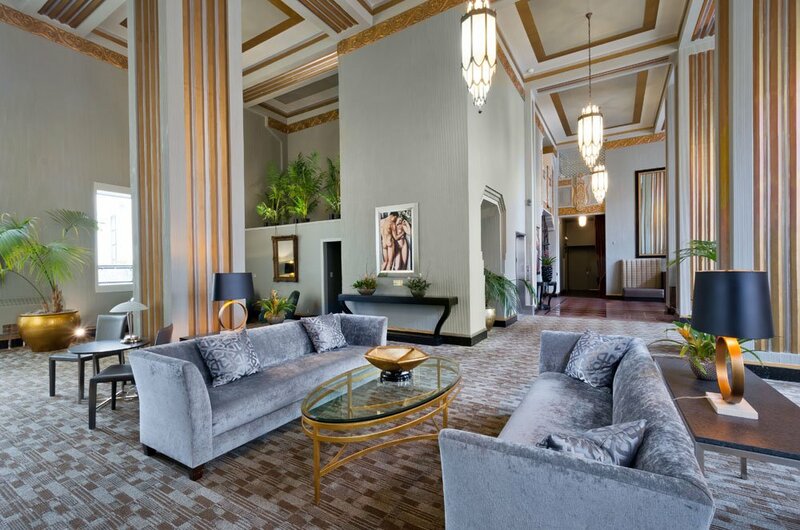 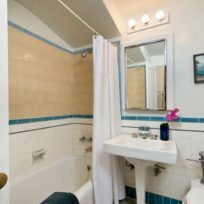 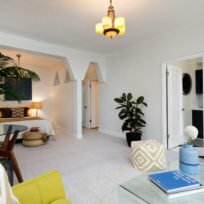 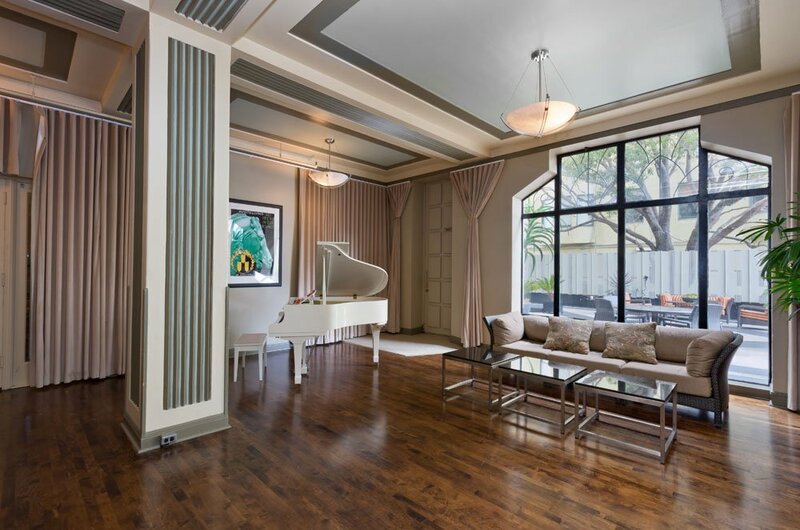 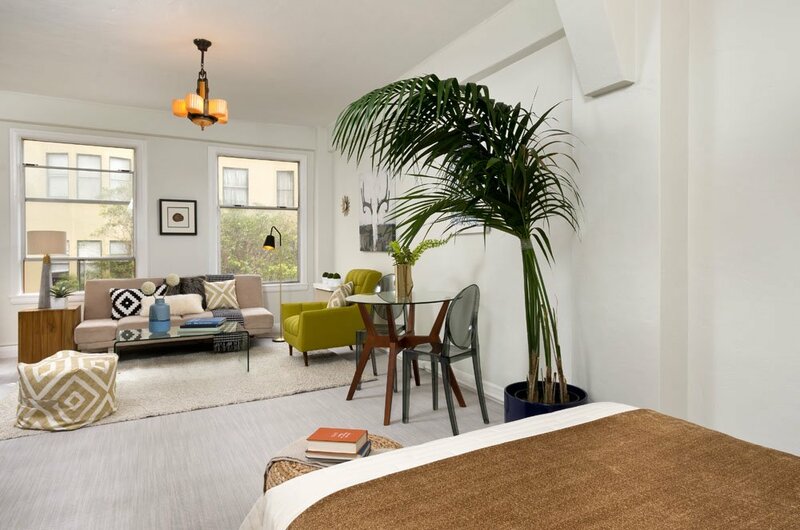 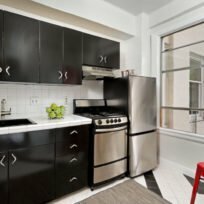 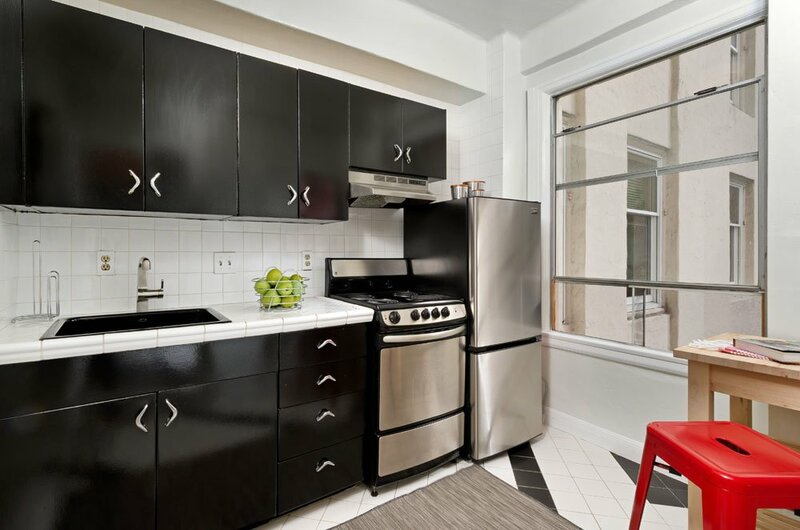 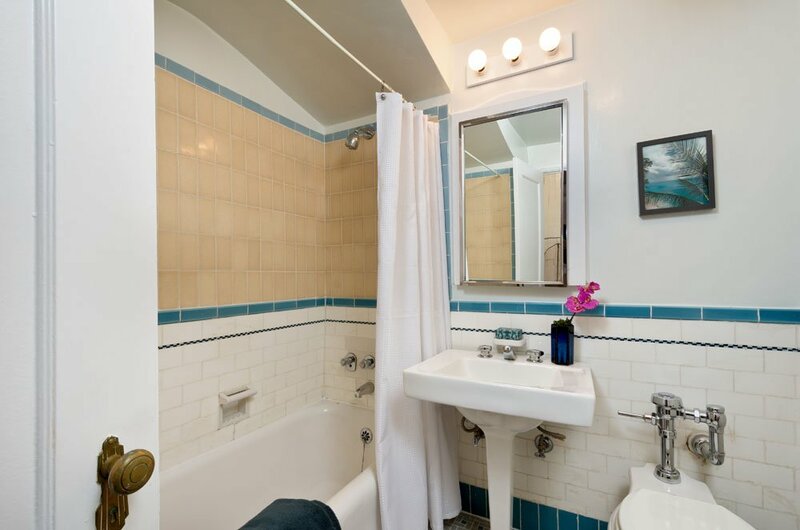 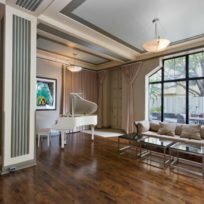 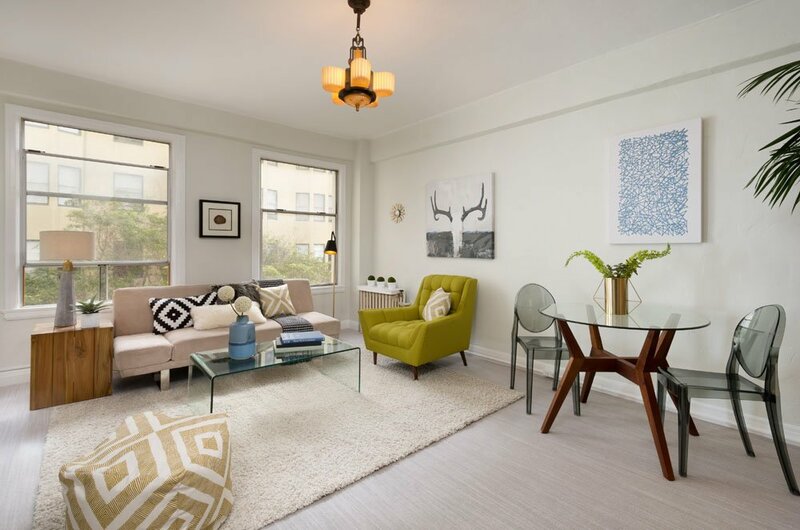 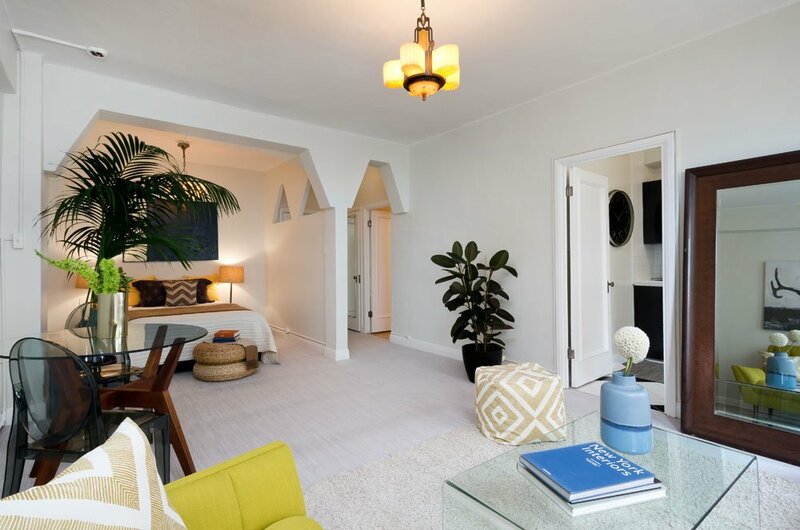 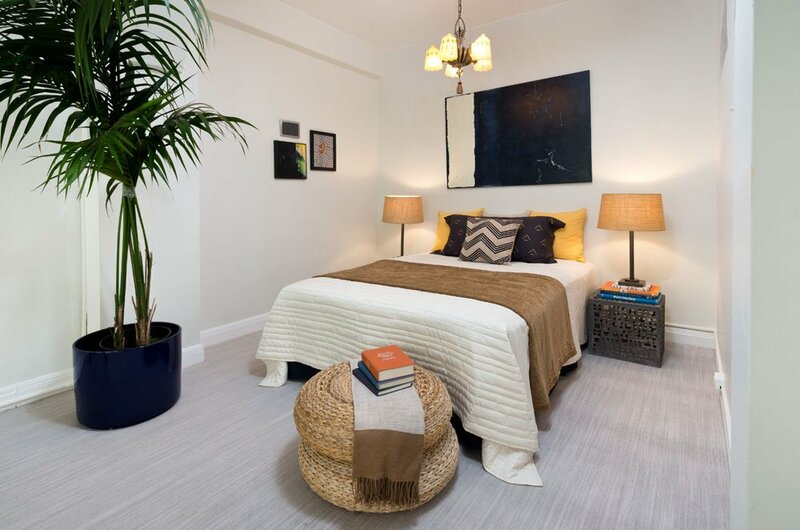 Art Moderne details include shouldered archways, a tiled bathroom floor, and vintage light fixtures. 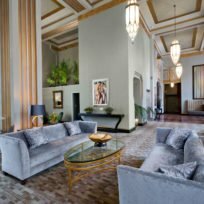 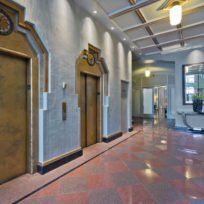 Completed in 1929, the 21-story Hamilton Building evokes the era of Sam Spade, jazz and speakeasies. 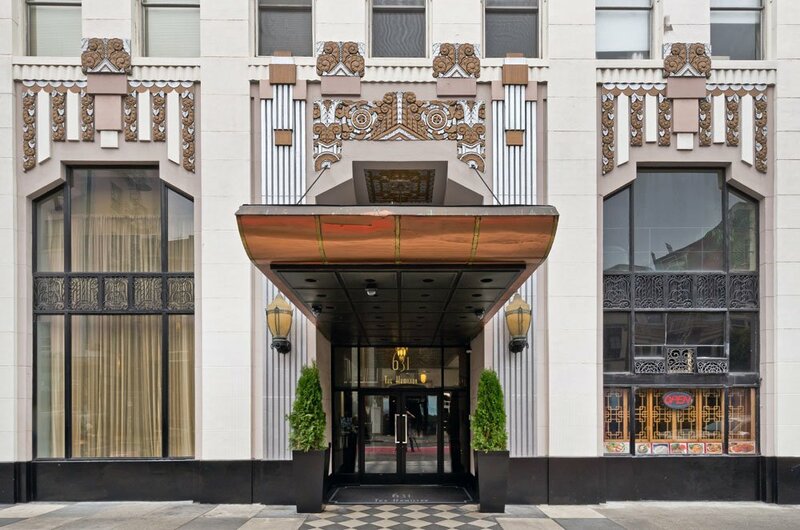 They say Dashiell Hammett could have slept here, and Lauren Bacall even did when the building was a hotel in the 1940s. 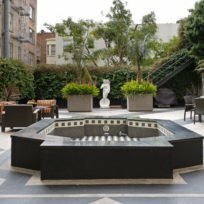 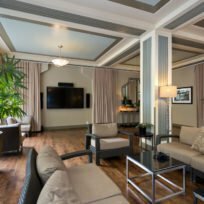 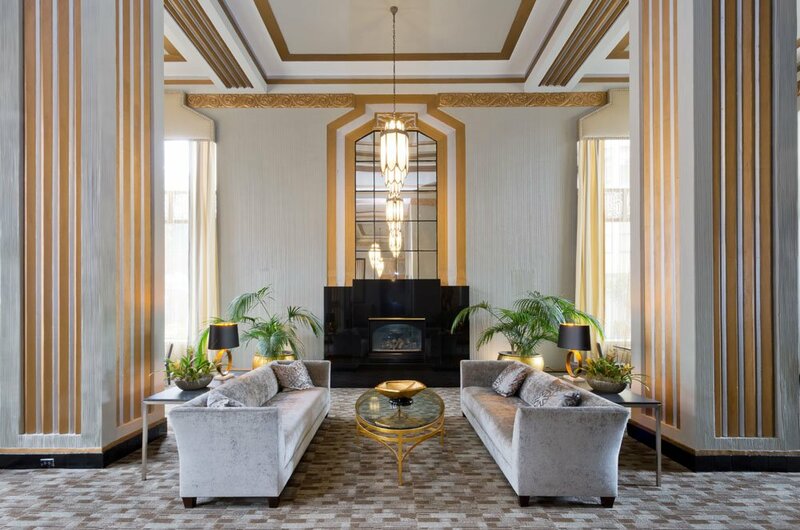 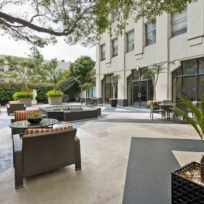 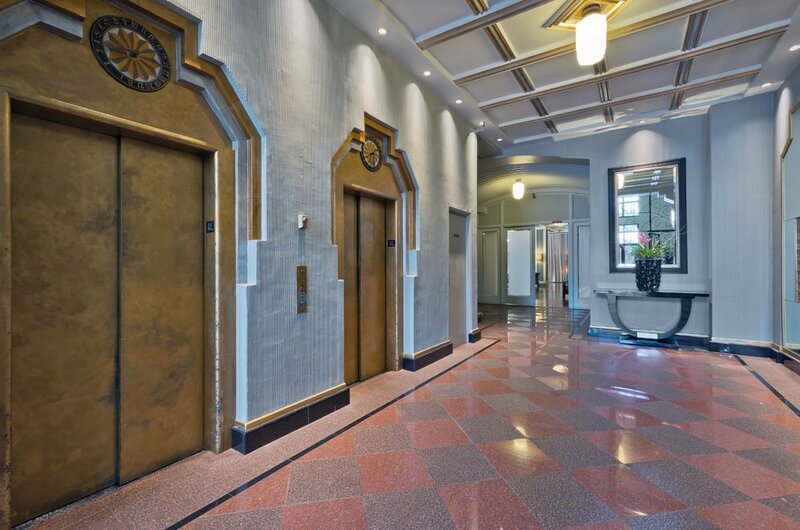 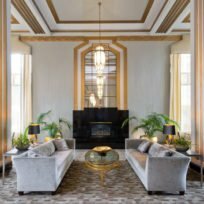 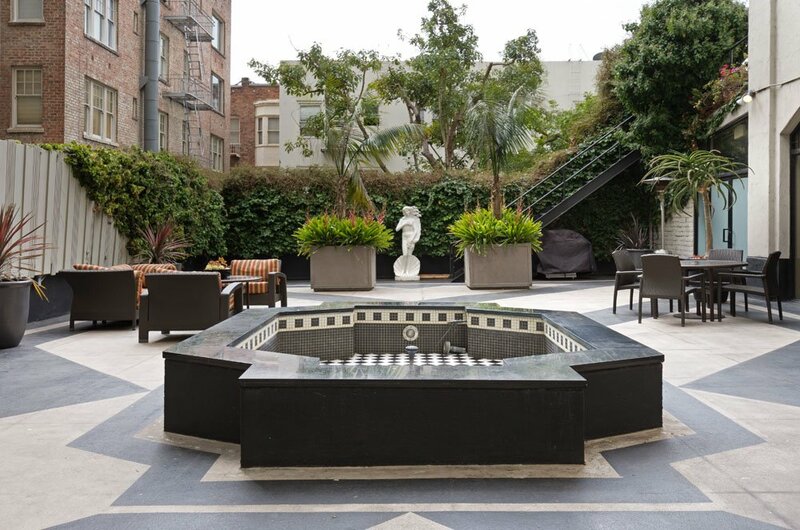 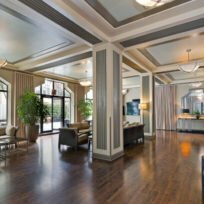 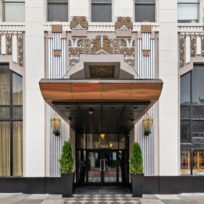 Converted to 186 apartment condominiums in 1962, the Hamilton today boasts uncommon amenities, like a glorious lobby and ballroom, sundeck and landscaped fountain courtyard. 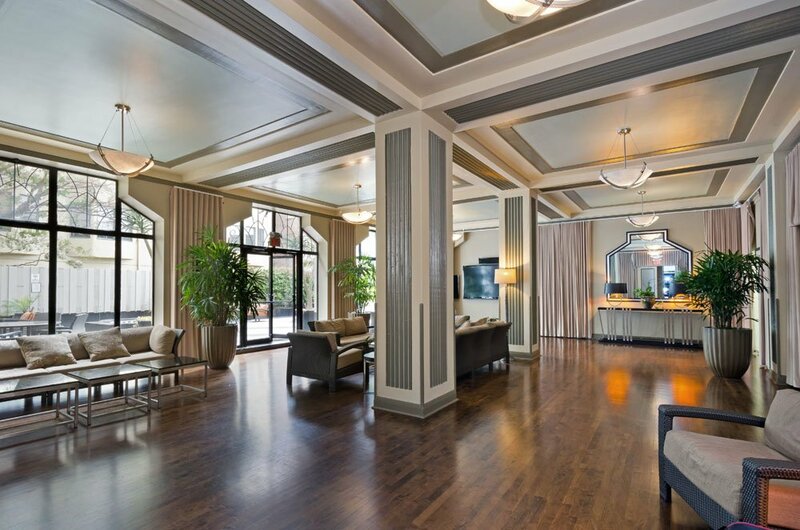 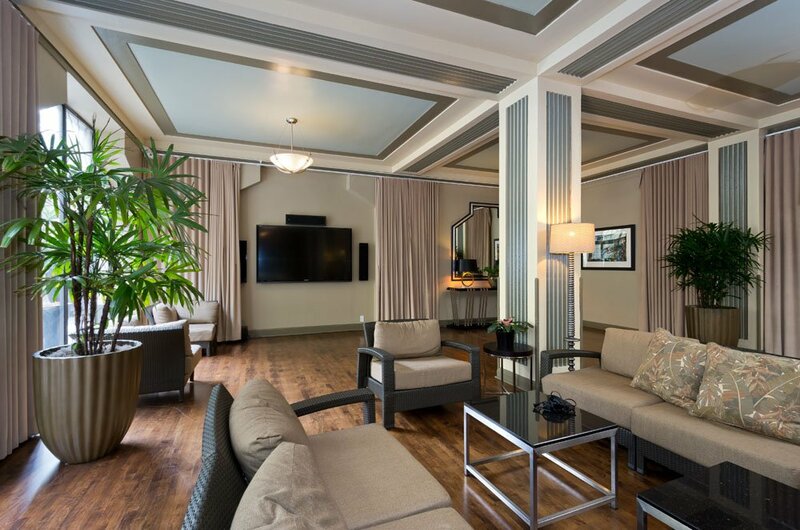 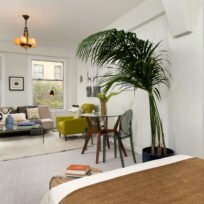 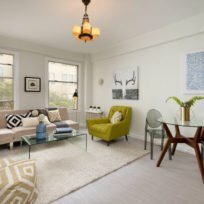 You know you’re living in the city when you live at the Hamilton. 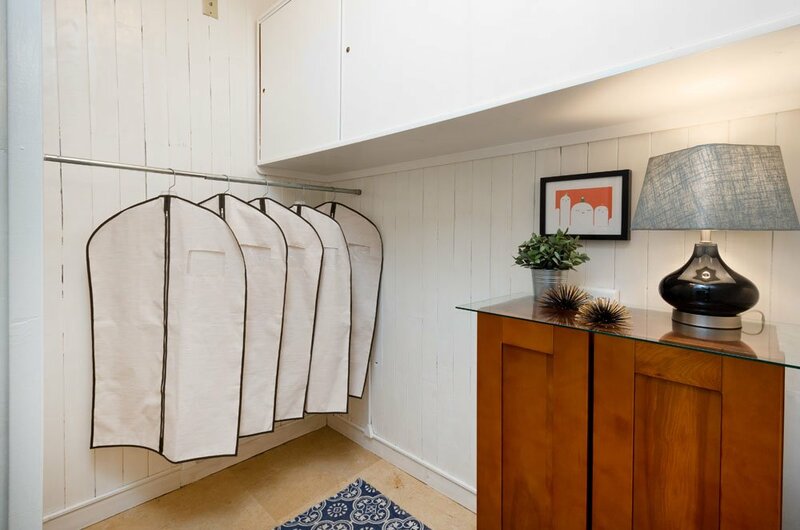 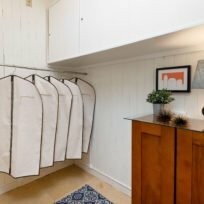 A lively street scene greets you each time you walk out the front door and a 94 WalkScore means everything from groceries to dry cleaning is within easy walking distance.